At Stewart & Hull Aesthetic & General Dentistry, we are concerned not only with the condition of your mouth but also with how it affects your complete physical health and general well-being. Today’s post looks at the connection between diabetes, oral health, and gum disease. This topic may be of interest to Belmont, Comstock Park, Grand Rapids, Sparta, Walker and Rockford, MI residents with diabetes, as well as individuals who are trying to reduce their risk factors. Scientists have known for quite some time that people with diabetes have higher rates of gum disease, therefore maintaining proper blood glucose levels is the key to minimizing risk. Additional research is exploring the reverse relationship. In other words, whether poor oral health increases the risk of developing diabetes. Findings from a long-term study suggest that it does. Additional trials are exploring how tooth and gum health bumps the ability of diabetics to manage the disease. If you have diabetes or gum disease, it is vital that you see a dentist regularly and are committed to daily oral hygiene, proper nutrition, and other critical practices. 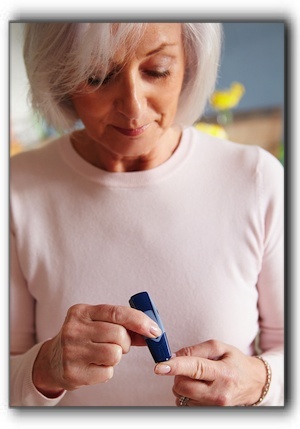 Moreover, your success in controlling your blood glucose levels will improve your overall oral health. If you don’t have a dentist and live in Comstock Park or the greater Grand Rapids area, we invite you to call us at 616-784-2377. We also provide other dental services such as gum disease treatment, Zoom teeth whitening, and dental implants. When you visit us at Stewart & Hull Aesthetic & General Dentistry, we will complete a thorough examination of your oral health and create a valuable plan for improving and maintaining your dental health for life. Schedule your visit today!